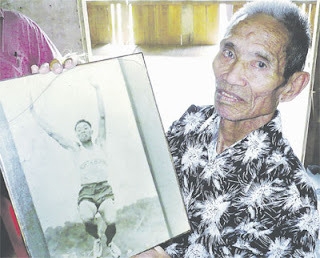 Sabah’s first Olympian, Gabuh bin Piging passed away during the 53rd National day on the 31st of August 2010 at his hometown Tambunan, Sabah, after fighting with a series of illnesses. He was 78 years old. Gabuh bin Piging was one of the most illustrious and successful athletes from the land of Borneo. His athletics career started in the early 1950’s, and a few years later he took part at the World's major athletics events. Gabuh represented North Borneo (now known as Sabah) at the 1956 Olympic Games in Melbourne in triple jump. Out of 28 participants, he finished 24th after clearing a distance of 14.55m. 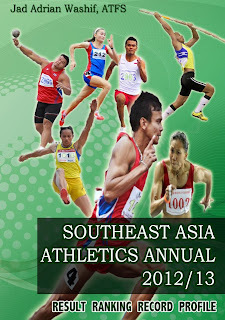 His teammate, Sium bin Diau leaped 14.09m to place in 28th position. Both athletes became the first men of Sabah to compete at the Olympics. In 1958, he attended the VI British Empire and Commonwealth Games at Cardiff, Wales and competed in two events (triple jump & long jump). In the triple jump, he finished 6th in a distance of 15.10m. Australian Ian Tomlinson won in 15.74m, with the second place winner in 15.69m distance. The next finishers have registered the distances of 15.45m, 15.45m and 15.40m, respectively. In the long jump, he finished in 17th position. During the Police Championship at Jesselton (now known Kota Kinabalu) in June 1959, Gabuh who at the time, was the best triple jumper in the region (15.25m) had a good form to break his records. He leaped 15.38m in the triple jump, which was 13cm better than his previous mark. This mark was subsequently recognized as Malaysian national record when the federation of Malaysia was formed in 1963. It remained the national record until in 1986 when another Sabahan, Sidik Sahak (19 years) had renewed the mark in a 15.45m distance during the 18th Borneo Games at Kota Kinabalu. 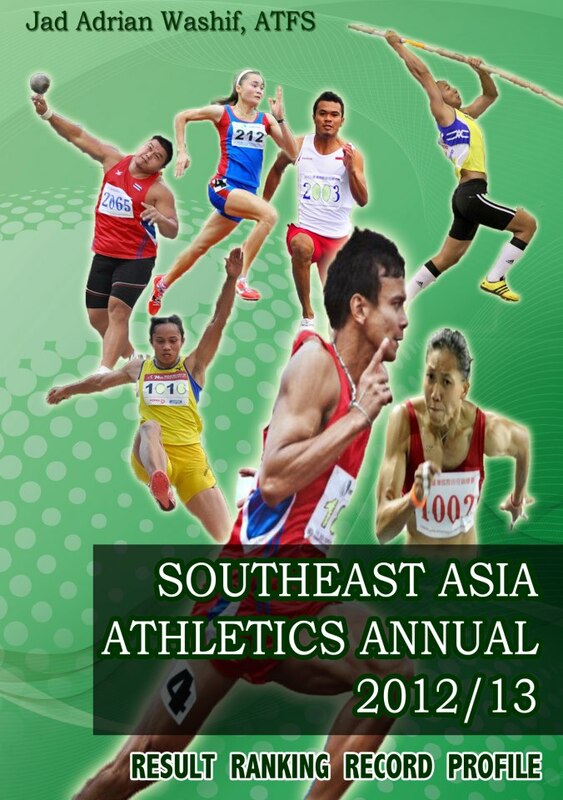 In the long jump, he leaped 23ft 2 ¼ (7.07m) distance which was retrospectively (1963) recognized as a new national record as well, surpassing the 21-year-old Malayan’s long jump record of 23ft 2in (7.06m) that was set in 1938 by Lee Fun. Within only two months later at the MAAU Championship in Kuala Lumpur, Gabuh renewed his long jump record again with a distance of 7.12m, that also a new Malaysian national record. Unfortunately for Gabuh, he actually had four foul jumps (out of six jumps) during the meet and one of the jumps exceded 24ft (7.3+m), a distance that he had already achieved multiple times during training. In his favorite hop step and jump (now known triple jump), Gabuh was also in the best form to establish another record. However, he ended up setting 15.11m as he injured on his thigh muscles. Tom Rosandich of the United States who was coaching Gabuh quoted , “it was pity that Gabuh had a pulled thigh muscle, otherwise he would have brought off a big surprise as he had jumped more than 52ft (15.85m) during training session”. This is of a significant note as the statistics show that the winner of the 1958 Commonwealth Games had only jumped 15.74m. At age of 30 in 1962, Gabuh competed in the Asian Games at Jakarta in both the long and triple jump events. Once again, he broke the long jump record with a distance of 7.15m. In the triple jump, he managed to register 14.64m. These results also enabled him to compete at the VII British Empire and Commonwealth Games in Perth, Western Australia. In Perth, he finished 10th in the triple jump and again 17th in the long jump. At age of 42 in 1974, Gabuh took part again in the Police Championship held at Gurney Road, Kuala Lumpur. He cleared 14.45m in the triple jump to add another gold medal in his collection from the first ones in 1950's. This performance remains Malaysia's veteran national best performance. In 2003, Gabuh was conferred the Datukship in recognition for his all-time achievements. This award is equivalent to a British’s Knighthood. 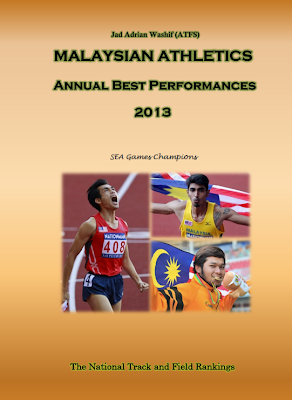 As of today, his personal record of the triple jump remains one of Malaysia's All-Time best performances. How Fast Can Cristiano Ronaldo Run in the 100m?